Few other provinces in the Philippines beat the inclusiveness of Rizal in terms of activities and experiences offered. All of its 13 municipalities and 1 city have long defined each of its identity, resulting to Rizal being called as “the province that has it all.” Its geography can be described with more than one superlative: it lies on the northern shore of the largest lake in the country, Laguna de Bay, and is perched on the western slopes of the southern portion of the Sierra Madre – the longest mountain range. Essentially, Jose Rizal’s eponymous province is, first and foremost, a mountainous one. That’s why it is no surprise that most adventure-seeking outdoor folks flock to it. 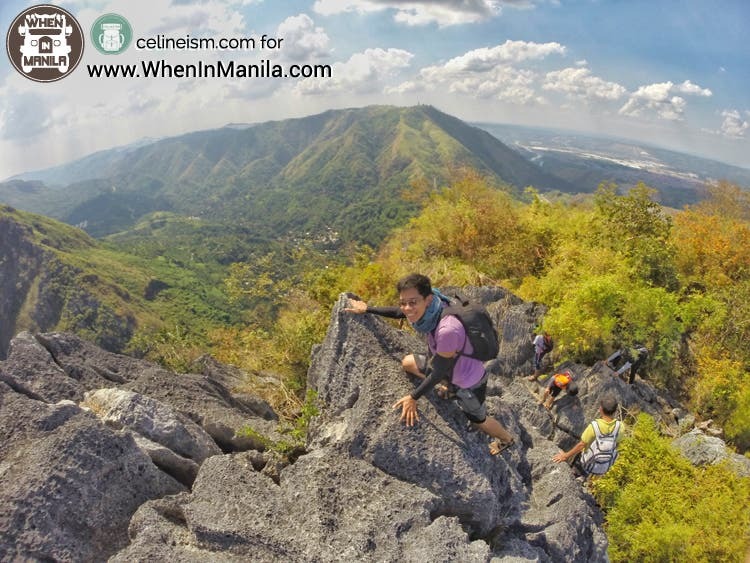 With its numerous peaks and its varied terrains and exhilarating views, plus its proximity to the Metro, one’s Philippine-hiking isn’t really complete until one has scaled one or two of Rizal’s mountains. Tanay is one of the municipalities that have the most shares of mountains. One of its most popular one–and perhaps of Rizal’s–is Mount Daraitan in Baranggay Sampaloc. The trail of this mountain requires hikers to use both their hands and feet, with portions approaching 70-degree inclines! The challenging ascent takes up to 5 hours but the view up the summit is truly worth it. The peak, made mostly of limestone formations, looks out into a bird’s eye view of slopes and greenery. A river can also be spied snaking across the expanse, forming several omegas. But perhaps what make this mountain very popular are the activities that can be done in addition to the hike. Hikers can do a traverse to the breath-taking Tinipak River where they can wash up in its pristine viridian water. 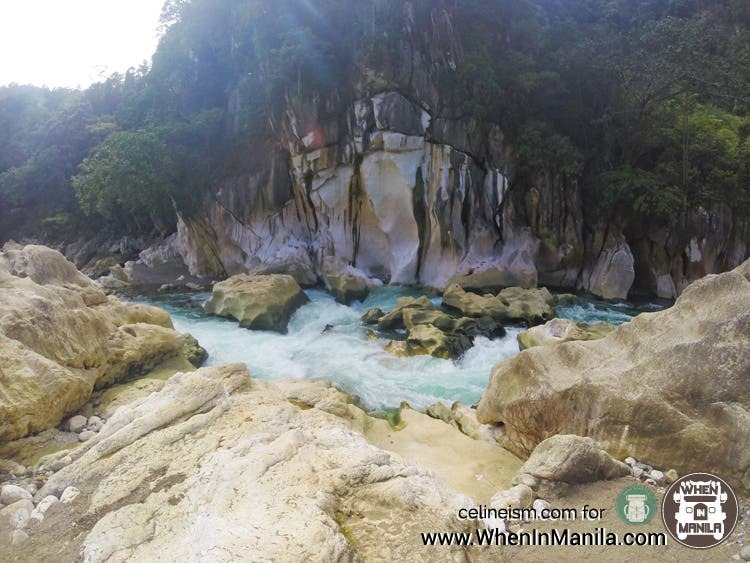 The river is also surrounded with massive white boulders, making for a stunning backdrop. Not only that, there is also a cave, with a natural pool inside, that adventurers can also explore. 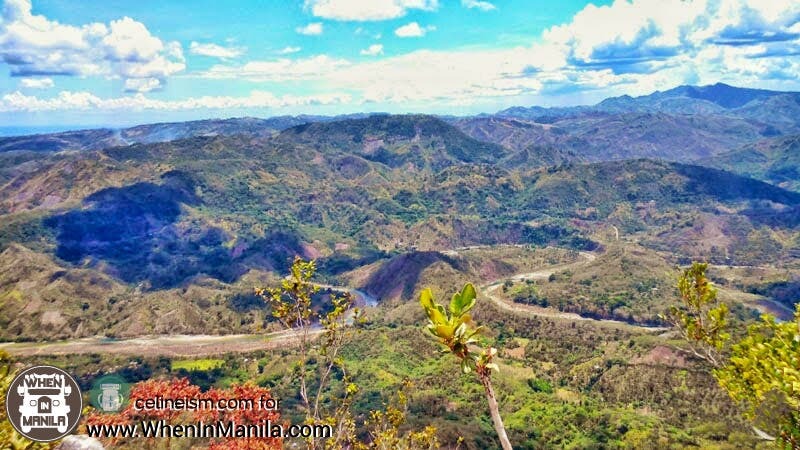 The rest of Rizal’s mountains can be found in Rodriguez, and one of the first mountains that have enjoyed a staggering interest from hikers is Mount Pamitinan. 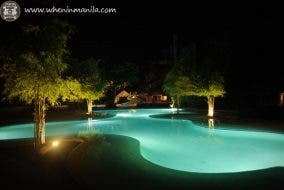 Its jump-off is in Baranggay Wawa, very near the also popular Wawa Dam. The path to the mountain includes crossing streams with a scattering of white boulders similar to that of Tinipak River. Its features are also similar to that of Daraitan, only the limestone formations here dominate its trail. The inclines are less steep but the terrain requires hauling one’s body over sharp rocks. 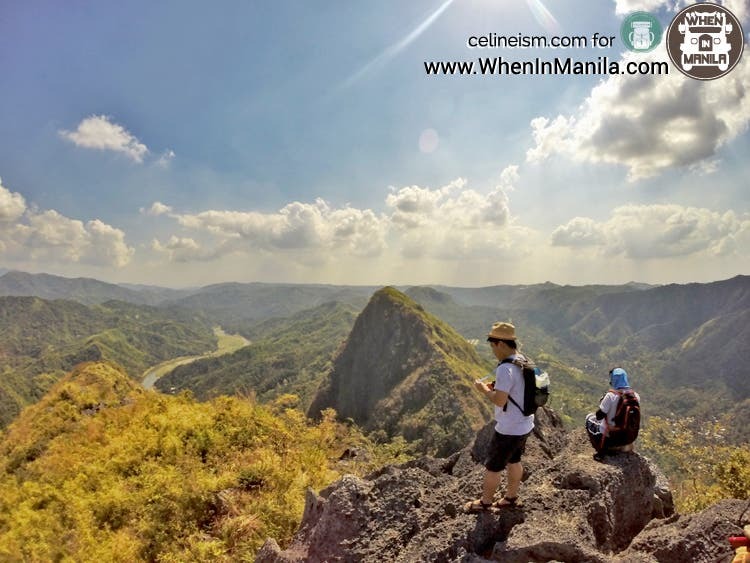 Mount Pamitinan’s summit is made entirely of limestone formations, with not a tree, nor any form of shade, in sight. The rugged surface of the rocks provides virtually no stable footholds, but the view from here is arguably one of the most spectacular. On a clear day, the blue, blue sky complements the stretch of rolling mountains. The simplest way to describe it is 360-degree of an undulating sea of green. What also adds to Mount Pamitinan’s charm is spelunking is made possible in its namesake cave where it is said that Katipuneros used to have meetings. Of course, a dip in Wawa Dam/River is also a common side-trip. Furthermore, Mount Pamitinan is also part of the Pentatology (five mountains in one day) Climb, for you harkor out there. Check the other two mountains on the next page!